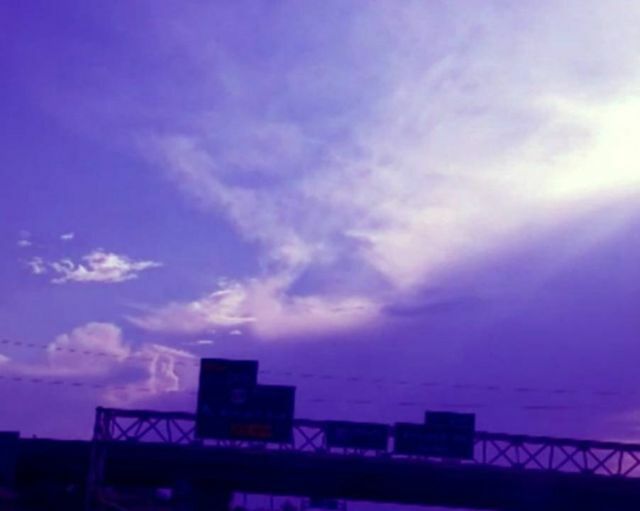 On Aug 8, 2018 the witness was driving south (east) on I-35 just outside of Kansas City, Missouri at 6 pm. It was a cloudy day so he was checking out the formations when he noticed a darker triangular shape, just, hanging out. So he pulled out his phone and recorded what he could. The triangle stayed there from what he observed to be at least 3 minutes. That time span being from when he noticed it until he eventually got off the highway and headed north to then be obscured by the tree lines. The witness states: What do I think it is? 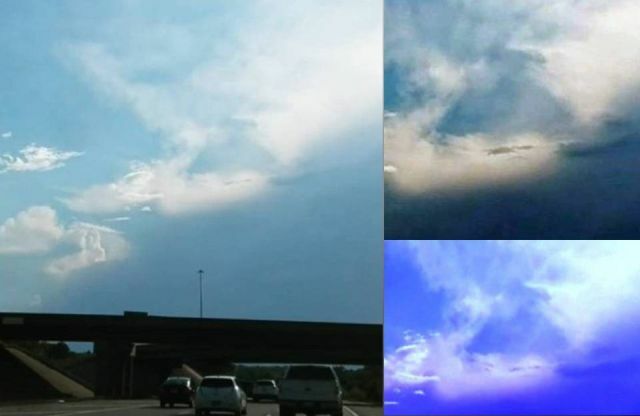 Well ether some sort of physical vessel that is “cloaked” and is interacting with the atmosphere to still show form. Or something that was big triangle shape that had passed through the clouds leaving a “trail” Or “foot print”.